I created this Pineapple Barbecue Glazed Chicken Drumsticks recipe for the days I don’t get to the store early enough to make an all-day crock pot meal. Sundays I go grocery shopping for our meals, and it really can take the life right out of me. I often go to the store without a real list. I have a list of the meals I plan to make, but not the ingredients on my list to make them. 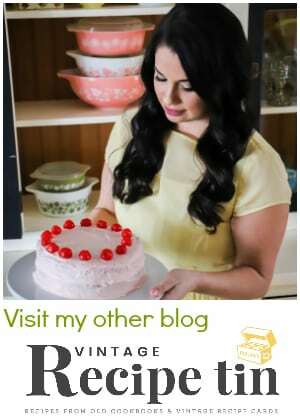 Since I am often creating 5-6 new recipes a week, I often haven’t decided what exactly I want in each recipe to make it perfect yet. So I wonder around the store, seeing if anything inspires me. By the time I get home from the store on Sunday, it’s after lunch time and I’m irritable. This drumstick recipe could be popped in the slow cooker and be ready for dinner in about 2.5 hours. What I love about this meal is that drumsticks usually come in giant 5 pound packages, I put half in the freezer for the next week. I seem to forget how cheap drumsticks are, they run about .99 cents a pound at my local grocery store. 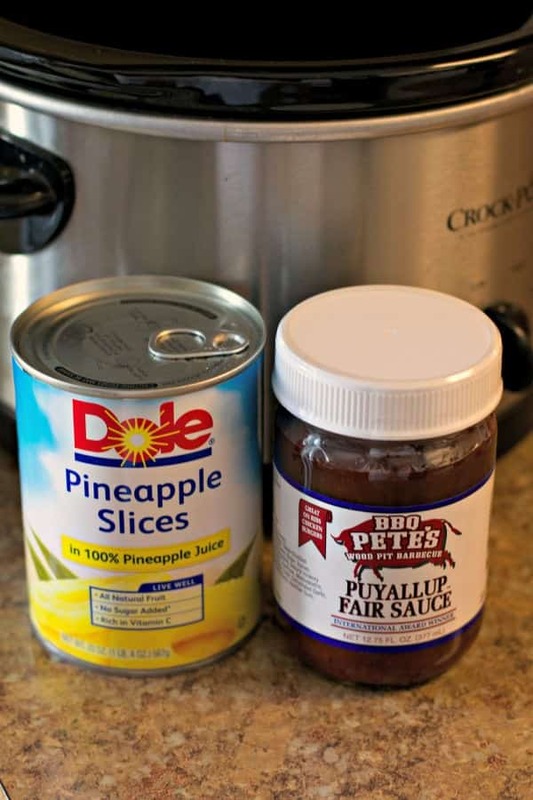 I use a specialty barbecue sauce I found at Fred Meyers called BBQ Pete’s Puyallup Fair Sauce, I love to try new barbecue sauces. This recipe also does well with Sweet Baby Rays Barbecue sauce too. I serve this Pineapple Barbecue Glazed Chicken Drumsticks with brown rice and a salad. If I was making this in the summer I would serve it with fresh corn on the cob. 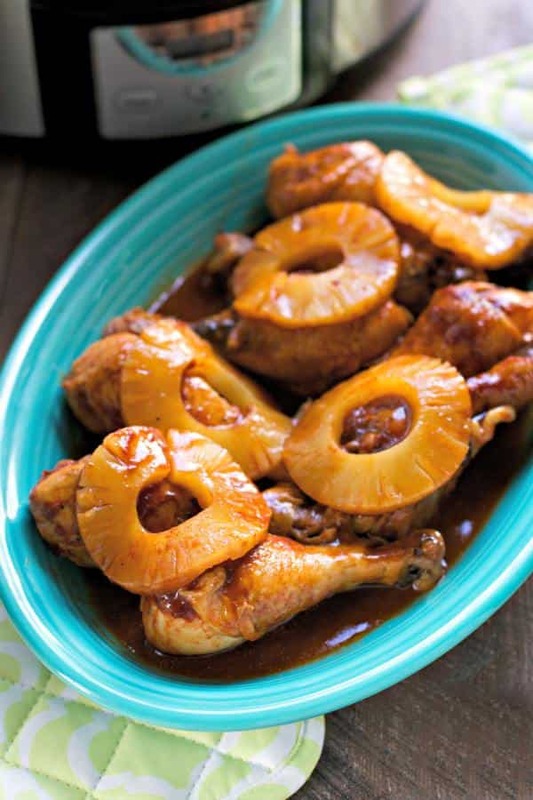 The chicken cooks up so nice in the slow cooker, fall off the bone tender, and the barbecue sauce and pineapple make a perfectly tangy and sweet sauce for the chicken. 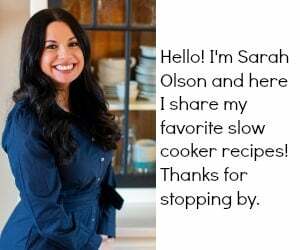 I hope you try this recipe and have a great week! Sprinkle the chicken with a small amount of salt and pepper. In a large skillet set to medium-high heat, add the cooking oil. When the pan is hot, brown the chicken on all sides. Add the chicken to the a 3-quart or large slow cooker. Pour over the barbecue sauce evenly over the chicken. Next pour over a ½ cup of juices from the pineapple can. Using a fork add the pineapple slices over the chicken and sauce. Cover and cook on HIGH for 3 hours without opening the lid during the cooking time. If you do not brown the chicken, or your chicken is frozen, cook for longer. Drumsticks are such an economical meal. I love the pineapple you put with them. That sauce looks delicious! Perfectly paired with dark meat and love that it’s ready in just 2 1/2 hours! I love drumsticks and this sounds so fabulous! 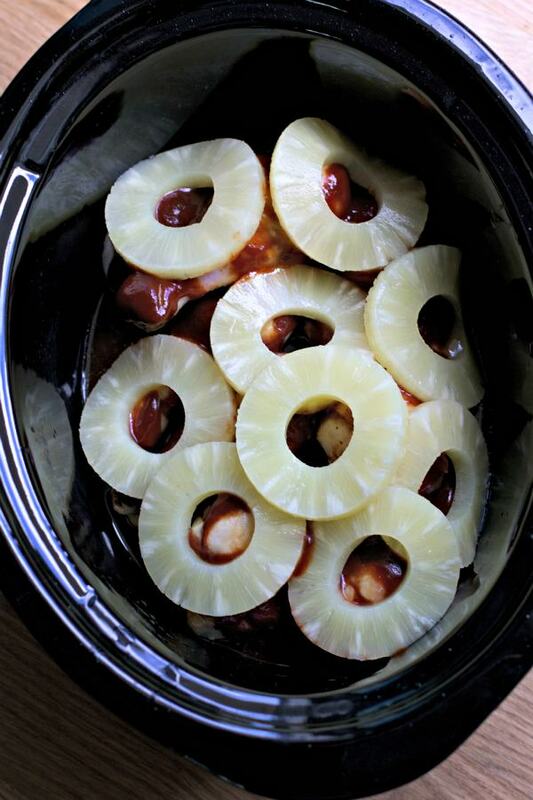 Great idea adding the pineapple! 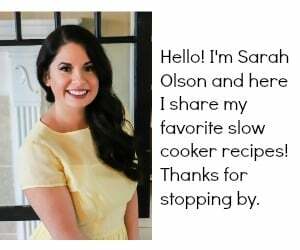 I love to try new BBQ sauces too! This is such an easy way to get dinner on the table. Love it! That looks delicious! I love dark poultry meat but sadly husband doesn’t or I would be whipping this one up right away! Browned chicken legs and thighs a pressure cooker then followed as above. Took only 25 minutes in pressure cooker. Was great. Husband loved it!! 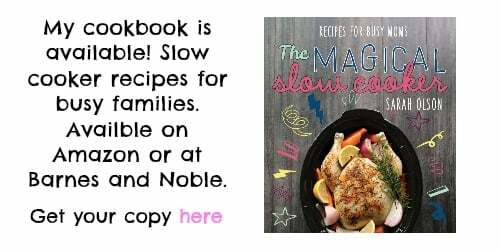 Do you need a slow cooker to cook this or can you put it on the stove or in the oven ? I’m sure it would do fine in the oven or stove top. You will have to experiment with the time. I think since you’ve already browned it by frying, you can cook the rest of it in the oven. Bone in breasts would do great. I would cook them for an 1-2 hours longer though. Did you use skinless legs or do you keep the skin on ? Your recipe already says “skin on”. Sounds yummy, I think I’ll try this for dinner tonight. Hi Gayle, I say 30 minutes more would work. Can I use chicken breast instead. I’m not a fan of dark meat. Yes, I would cook longer. About 4 hours. If I were to triple this recipe and do it covered in a sheet pan, how long should I could them? If using frozen legs and not browsing them first, how long would you leave them in the slow cooker? I’m thinking 4 1/2 hours on high, the extra time for them to thaw, takes a while. I’m a 91-year-old single guy, and your recipes are tool cool for words. Only prob is that my freezer is overloaded with humongous batches of leftover slow-cook goodies. What is a ball-park rule for changing the cooking time for half-, or less, quantities of your recipes? Or do I have to learn that through trial and error? If I doubled this recipe,how much more time would I cook it for?